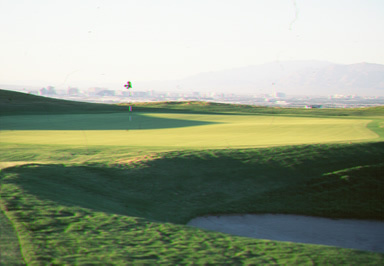 Make sure your “A” game is intact when you decide to head out to Rio Secco, because this golf course will prove to be one of the greatest challenges your game will encounter! 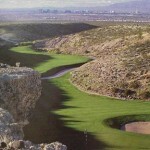 Rio Secco is a spectacular desert course that has been cut out of the McCullough Mountain Range in the southeast portion of the Las Vegas Valley. 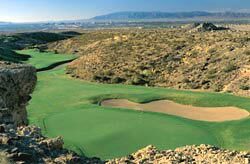 Home to Tiger Wood’s former teacher Butch Harmon, Rio Secco provides its guests with the ultimate golf experience. 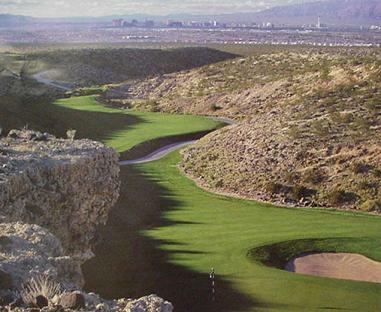 The course features numerous dramatic elevation changes that provide outstanding views of the entire Las Vegas Valley and of the surrounding mountains. The course is also home to eighteen of the fastest greens one may ever play. 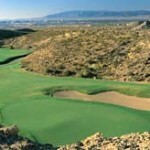 Combine the lightening fast greens with the tough desert terrain you have to negotiate through, and Rio Secco is all of the golf course any player can handle. 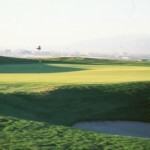 Rio Secco has played host to numerous sectional PGA events and is the annual host to a NCAA event, and definitely should be included on anyone’s must play list when coming to Las Vegas. 2019 Maintenance Schedule: Greens aeration 4/16/19.